Call 732-598-7700 to see the homes in Upper Freehold. Upper Freehold Township is a township in Monmouth County, New Jersey. 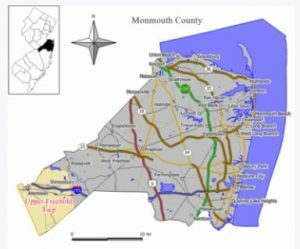 The 2010 Census reports that the population in Upper Freehold was 6,902 people. In the 2,363 households the median income was $122,525. Primary uses of land in the area are farming and other agriculture, and it’s been like this since the township was first formed. The township has 6,000 acres which are protected from development as part of a Farmland Preservation Program. In fact, Upper Freehold was the first town in the county to approve a dedicated portion of property taxes to fund farmland preservation. The Upper Freehold homes for sale do not have city utilities available, instead septic systems and wells are the norm. Natural gas is available in most areas for heating usage. The homes are detached single family homes, and there are no condos in town. However, there is an active adult community. The Upper Freehold homes for sale can be older small homes. However, they can also be newer, large homes where prices can exceed $1 Million. Students in grades pre-kindergarten through will twelfth grade attend the Upper Freehold Regional School District. This educates students from the town and Allentown Borough. Students may also attend the Monmouth County Vocational School District. Private schools are also in the vicinity. Additionally, high school children may also attend schools in the Monmouth County Vocational School District. Seven magnet schools provide education in a number of careers such as biotechnology, building trades, healthcare fields, high technology and more. And both full time or part time courses are available. As a result, students have other options available.